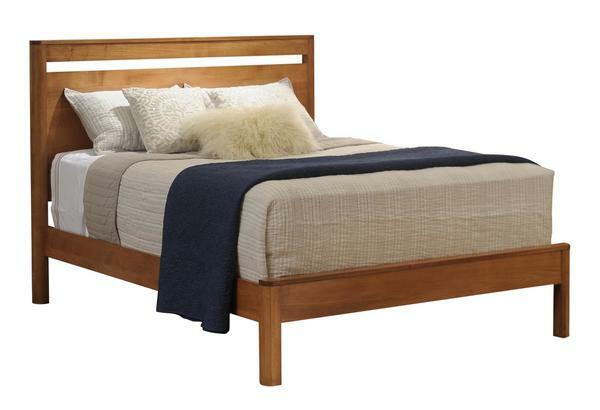 Our Amish Galaxy Panel Bed is handmade in your choice of solid wood and finish! Enjoy choosing from six different wood types and a multitude of finishes to match your bedroom suite perfectly! This heirloom quality panel bed is available in five different bed sizes and can be constructed for use with or without a box spring! Our contemporary style Amish Galaxy Panel Bed can be transformed into a storage bed with the addition of our under bed drawers. This can help keep all of your bedroom items organized and stored in one central area. *Shown in Brown Maple Wood with S-14 Stain.